Congratulations to Jakob Oftebro, a Norwegian actor, who won (and received yesterday) the 2015 Nordic Languages Prize – coordinated by Foreningen Norden (the Nordic Association). He has played parts in two outstanding Norwegian films – ‘Max Manus: Man of War’ (2008) and the the Oscar-nominated epic ‘Kon-Tiki’. (2012) – and other Nordic productions including the Swedish film ‘The Hidden Child’ (2013) and the Danish series, ‘1864’ (2014) and ‘The Bridge’. Oftebro received this year’s prize for his passionate commitment to Nordic languages and cultural integration. He is renowned as a versatile actor experimenting with and reproducing different Scandinavian dialects. In an interview, Oftebro commented: ‘We are so similar, yet so different up here in the Nordic countries – and we have a lot to learn from each other’. He is ambassador for education and advocates that all teachers should take a one year exchange to a neighbouring Scandinavian country early in his / her career. Foreningen Norden and its General Secretary (AC alumnus and RCN Deputy Board member) are greater supporters of the Scandinavian Languages Programme at RCN. For further information on this year’s prize: click here. The Nobel Peace Prize 2014 is awarded jointly to Malala Yousafzai and Kailash Satyarthi, “for their struggle against the suppression of children and young people and for the right of all children to education”. Since our opening in 1995 we have been invited to send a delegation of students to the Prize ceremony in Oslo City Hall. Hardly ever has there been a winner more relevant to our own cause; to make education a uniting force. In the poor countries of the world 60% of the population is under 25 years of age. It is essential for a peaceful global development that that rights of young people are respected. Particularity in conflict ridden areas, the violation of children leads to the continuation of violence from generation to generation. Or to use the words of journalist Nicholas Kristof of the NY Times: “The greatest threat to extremism isn’t drones firing missiles, but girls reading books.” Our best congratulations to Malala Yousafzai and Kailash Satyarthi. After the events, our participating students will share their reflections from the day on our home page. At the UWC Red Cross Nordic quarterly Board Meeting, held at the Astrup Fearnley Museum in Oslo, Gisle Kavli was thanked for his contribution to the development of the partnership between the College and the Norwegian Red Cross. 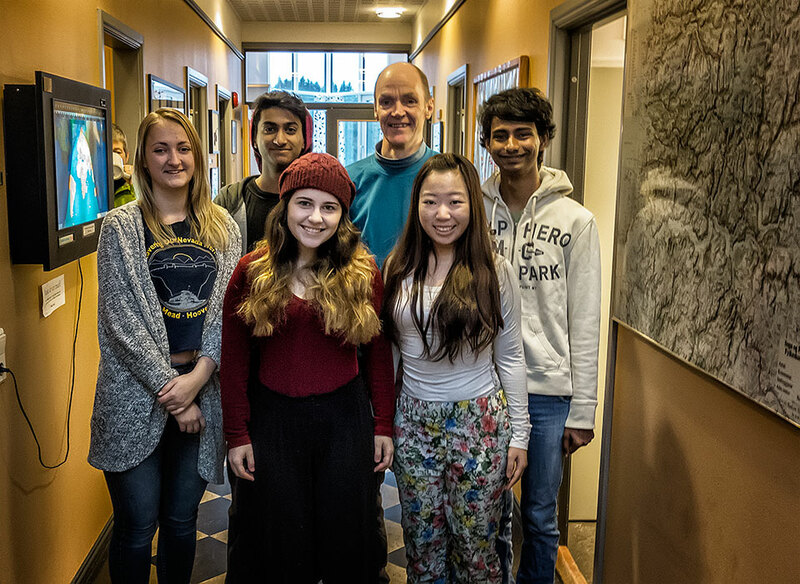 As a Board member Gisle has given an extraordinary amount of time and energy to the partnership and we are certain that he will continue to be a champion of the education that UWC offers both within the Nordic region and beyond. We wish him well in his new role working for the diocese of Fredrikstad. We are delighted to welcome Liv Rongland to the RCN Board as the representative of the Red Cross. She has considerable experience working for the Red Cross both in Oslo and Geneva. 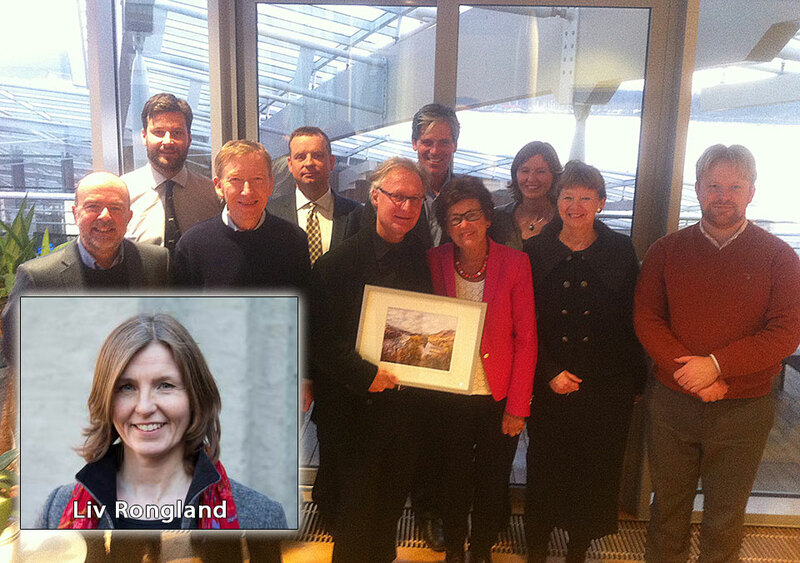 She is currently Leader of Section for Care and Organisational Development at the Norwegian Red Cross. Liv is excited at the prospect of serving the College and has kindly invited the students on our December Break programme to visit the Red Cross office in Oslo and to run a workshop on ‘Street Mediation’. We look forward to welcoming her to our campus in 2015. På vårt siste styremøte i Oslo ble Gisle Kavli takket for sine bidrag som vårt styremedlem fra Norges Røde Kors og for det han har gjort for samarbeidet. Vi ønsker ham lykke til i hans nye jobb som kirkeverge i Fredrisktad. Vi er glade for å ønske Live Rongland velkommen som ny stryerepresentant fra Norges Røde Kors. Hun kommer med erfaring fra Røde Kors både i Oslo og Geneve og er i dag seksjonsleder for omsorg og foreningsutvikling. Hun har allerede invitert studentene på desember-programmet i Oslo til en økt om gatemegling. Vi ser fram til å ta imot henne på campus i 2015. This weekend, the UWC Asia Pacific Region Meeting took place at UWC Li Po Chun in Hong Kong – with representation from the International Office, the Colleges and Schools, and National Committees from across the region. This gave Larry, our Rektor, and Arne Osland, the Director of Development, the opportunity to forge new partnerships with representatives from the Asia Pacific region and also to present on and advertise student scholarships on RCN’s ‘Survivors of Conflict’ Programme. Prior to the meetings, Arne had used the opportunity to visit the Cambodian National Committee and other organisations in Phnom Penh for recruitment for this programme. The RCN team were also invited to meet with a Chinese student currently studying at LPC who had lost both lower legs in the Sichuan earthquake and the staff directly supporting her – and to discuss how both colleges support students with disabilities on campus and promote functional independence. 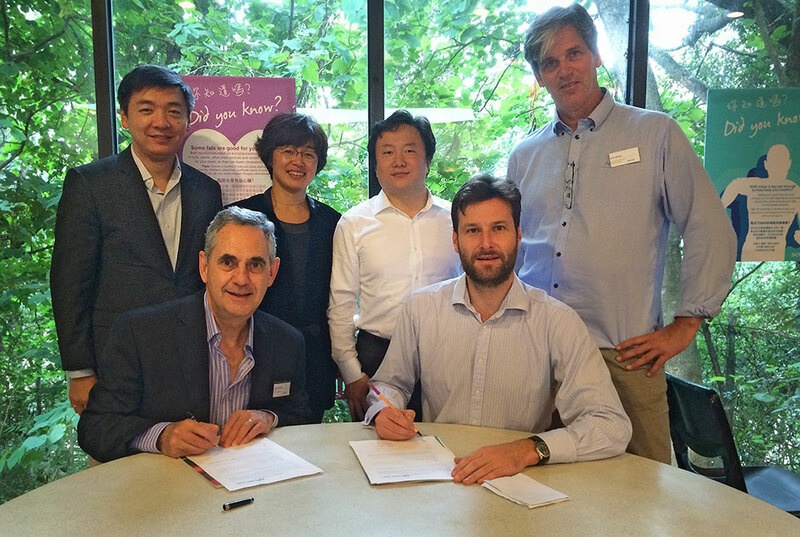 UWC Changshu China has been given final approval by the UWC International Board and is set to open in August 2015. A Memorandum of Understanding – a basis for a partnership between the two Colleges – has been drafted and approved by both College Boards and was officially signed by the Heads, Robert Clarence and Larry Lamont at LPC on Saturday 29th November. We look forward to working together in the years to come. 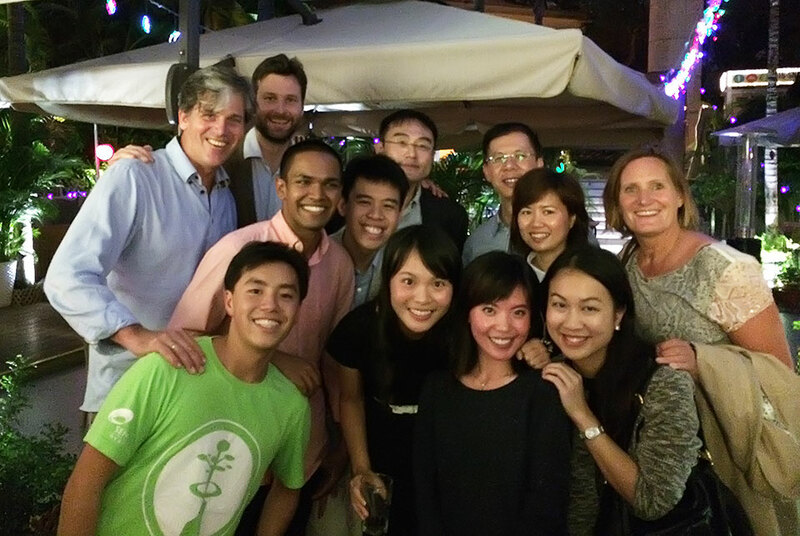 On the evening of Saturday 29th November, an event at a restaurant in Hong Kong Park, was held for UWC RCN alumni, parents of current students and supporters, both old and new. It was a wonderful event.